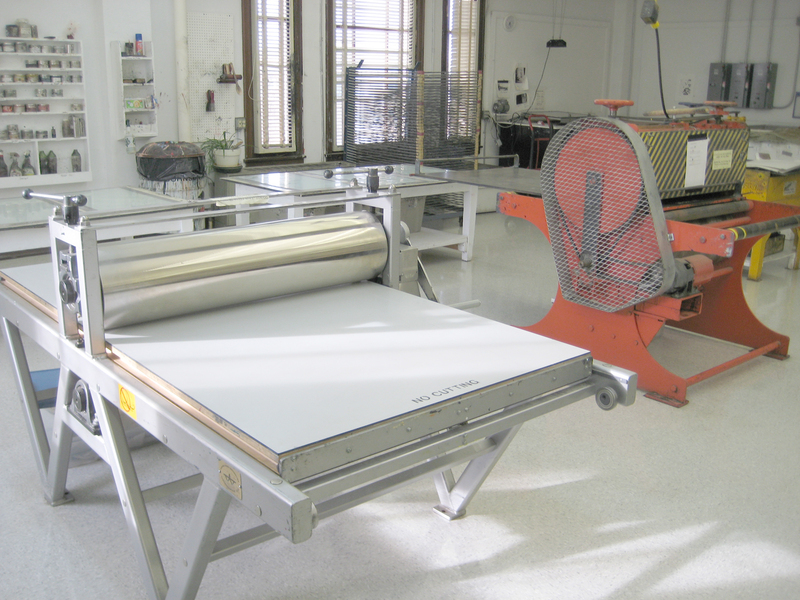 The Main Studio is equipped with a large Takach etching press, Large motorized Glen Alps etching press and Armstrong etching press. 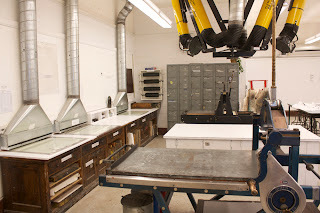 A second Graduate/BFA studio is also equipped with a fourth Griffin etching press. The main studio is also equipped with a Griffin lithography press and a Praga lithography press. 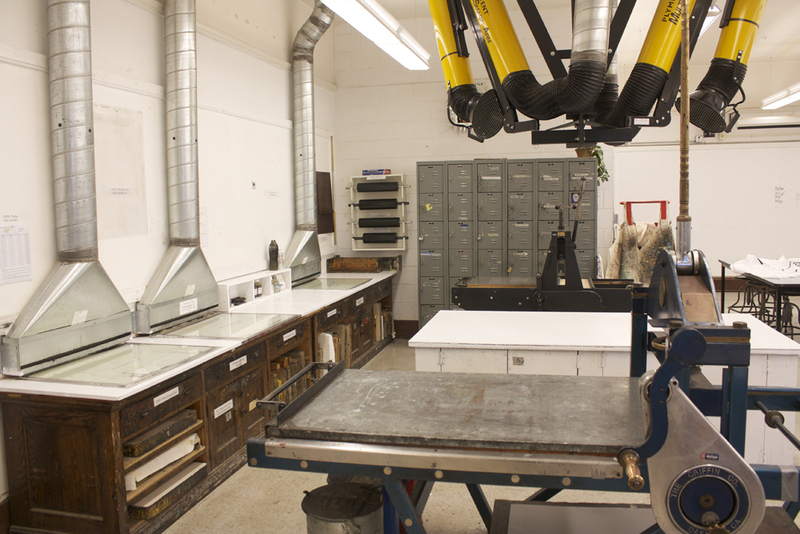 We have a large plate burner for photo lithography, as well as maintaining a collection of lithographic stones for traditional work. The litho area is equipped with state of the art snorkel ventilation and slot ventilation.